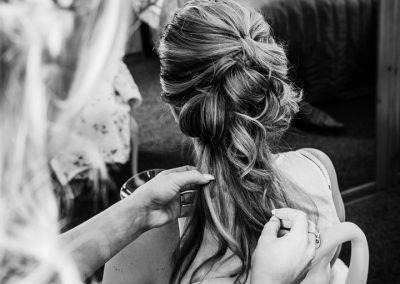 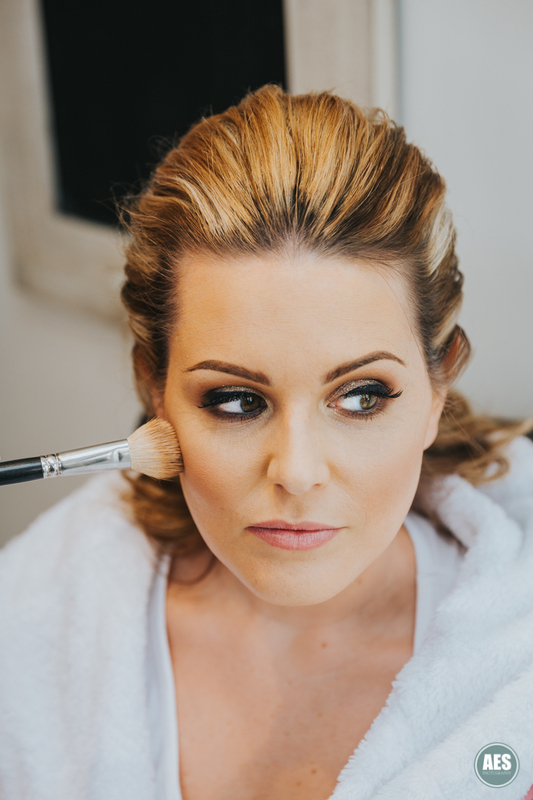 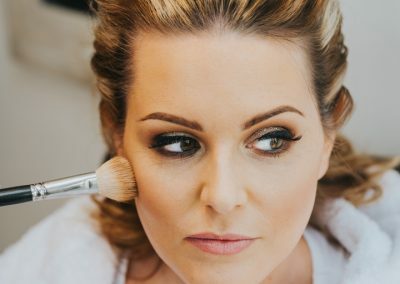 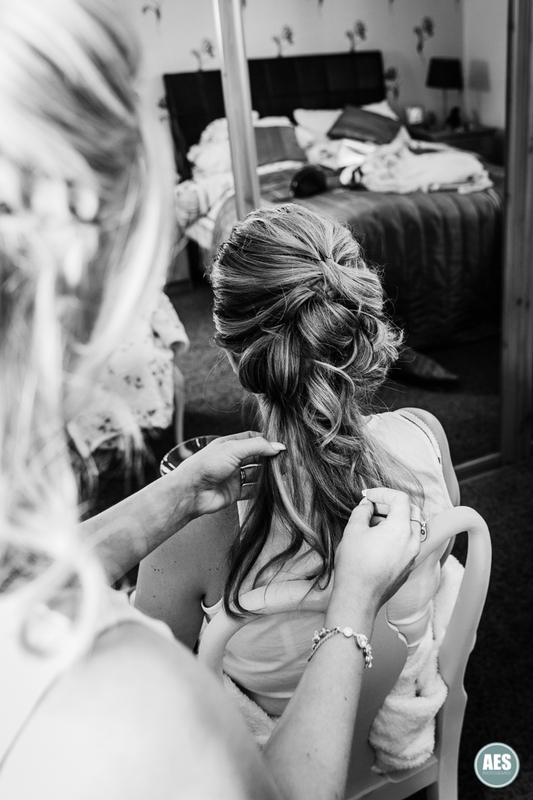 In all my years as a wedding photographer I have never had an easier job shooting the bridal prep details. 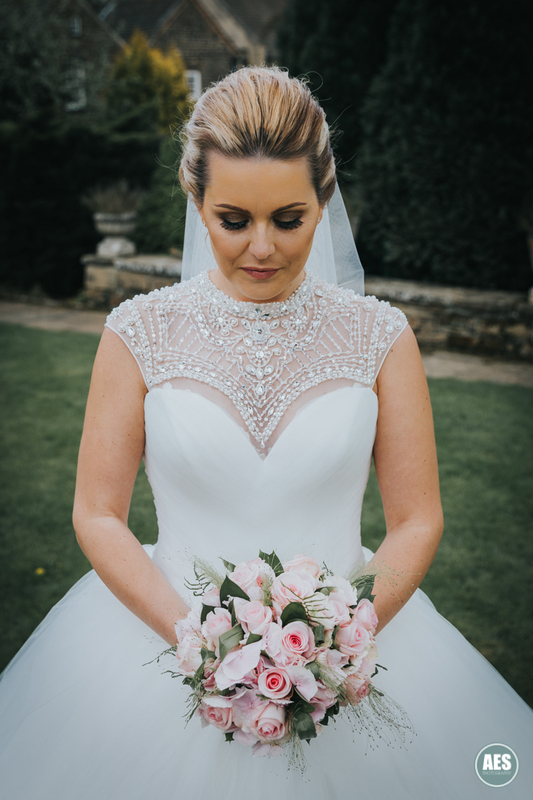 This was thanks to the brides mum and sister who had done a wonderful job preparing the dress and all the details. 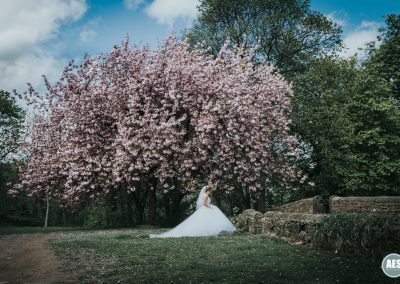 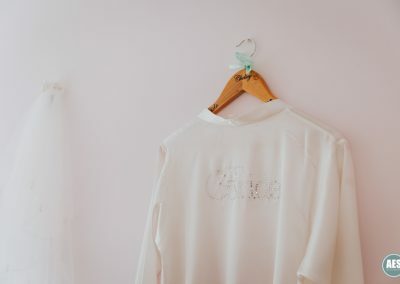 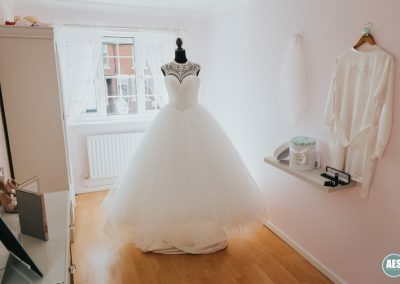 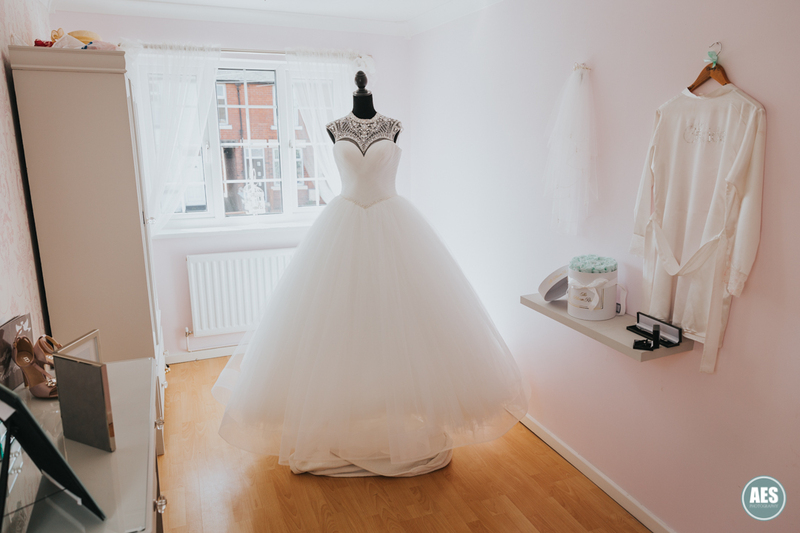 I usually have to think on my feet and find a spot for the dress, shoes, etc, but all the hard work was done – just turn up and snap away (I wish it was that easy). 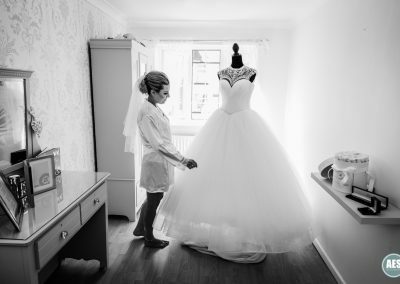 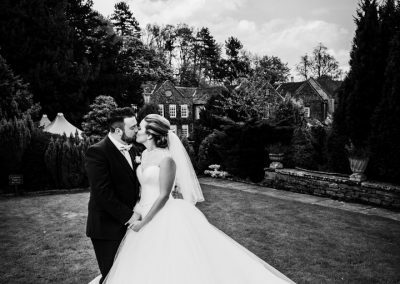 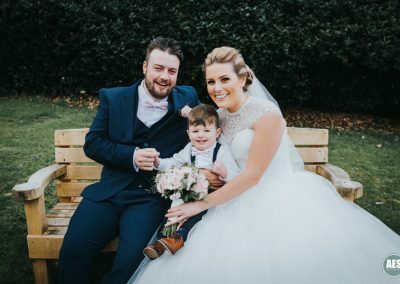 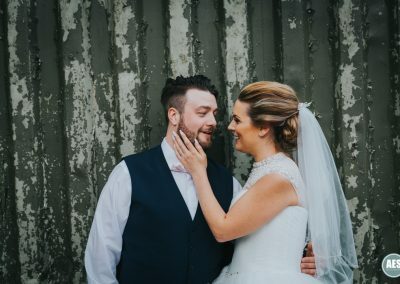 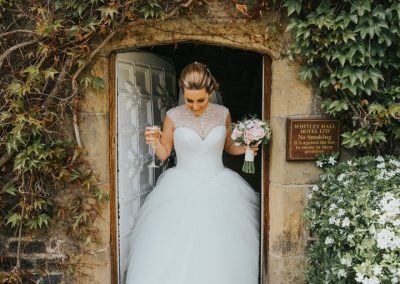 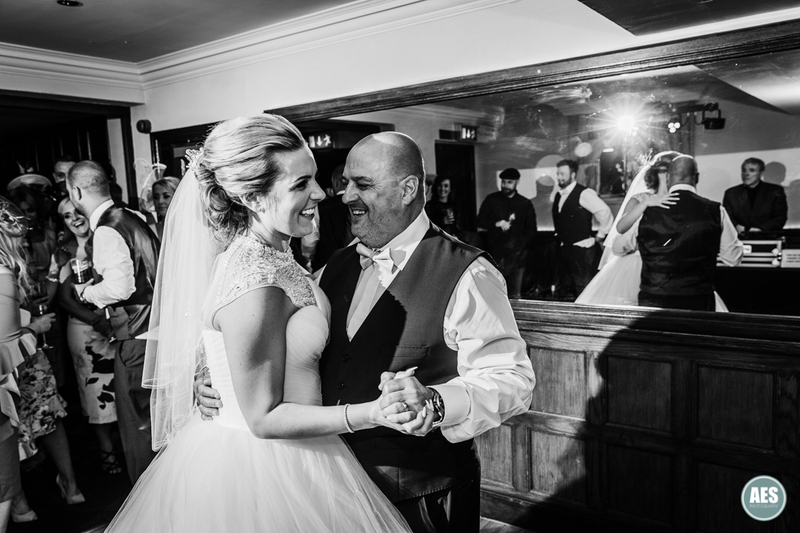 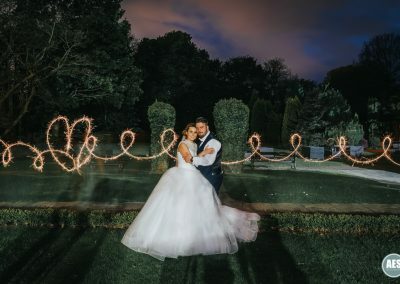 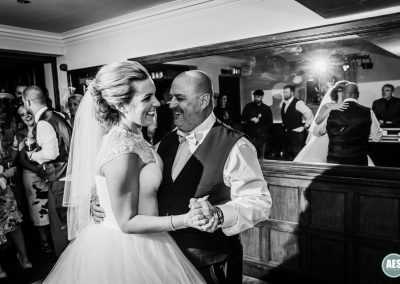 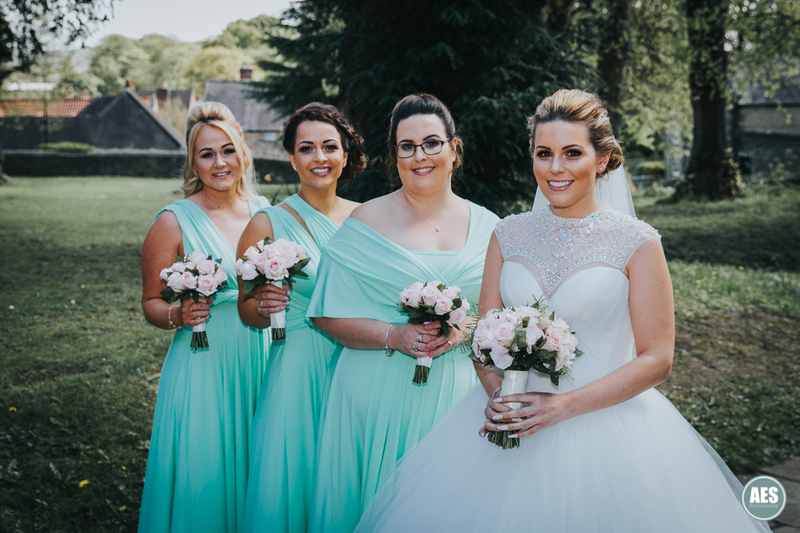 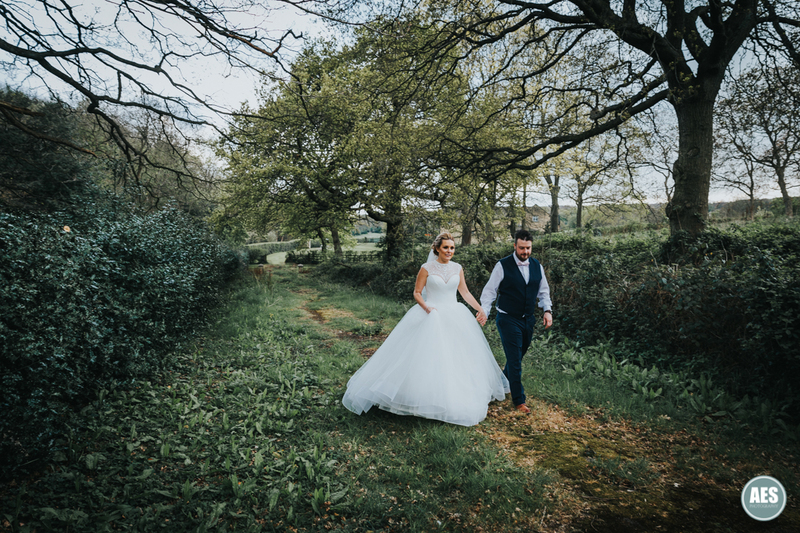 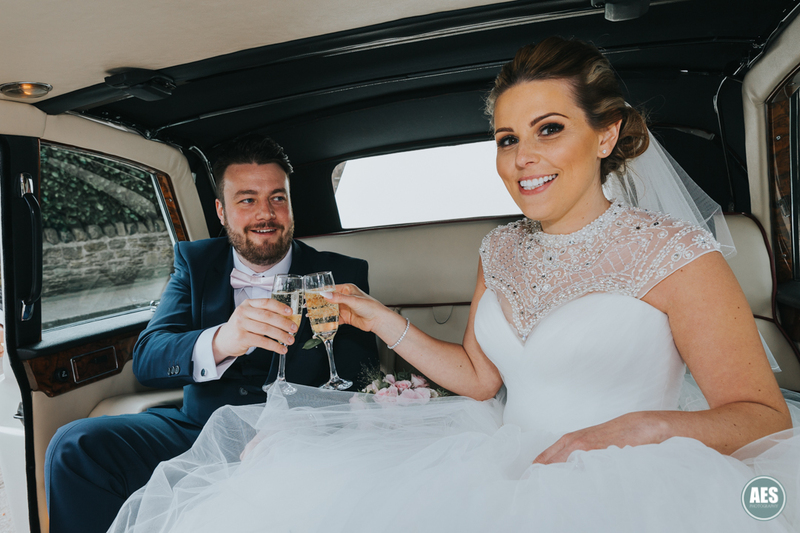 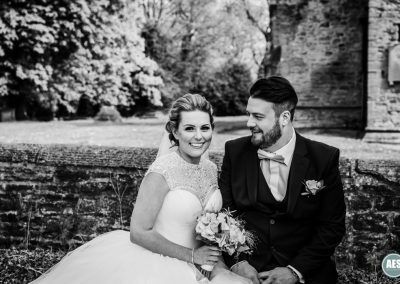 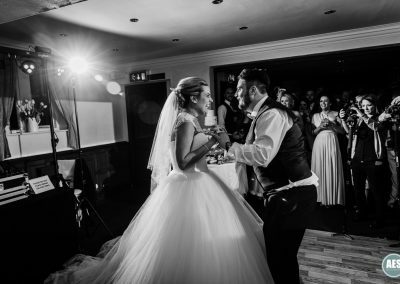 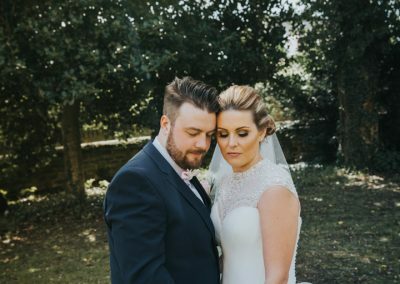 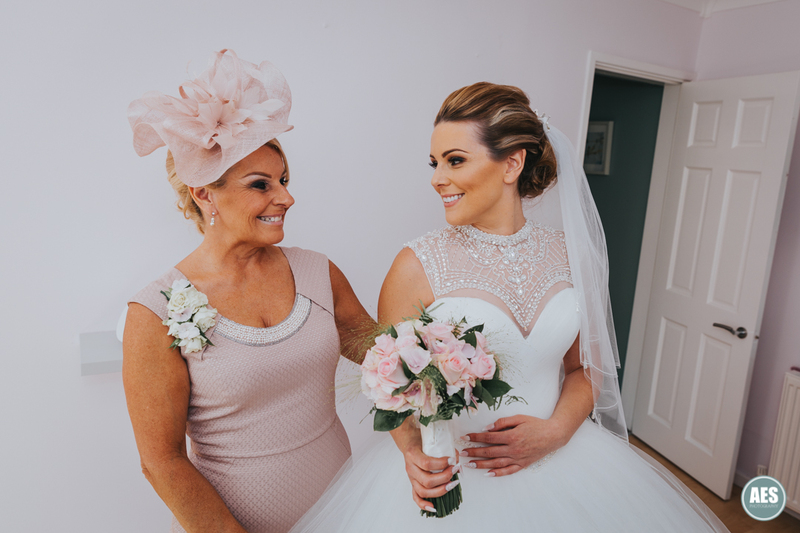 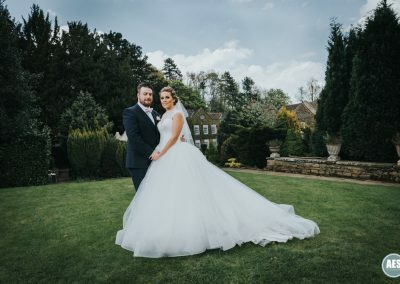 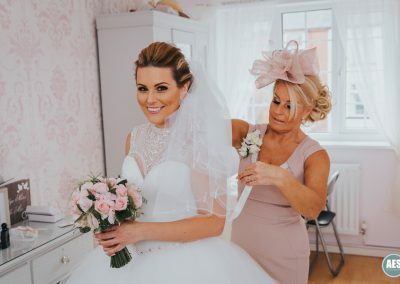 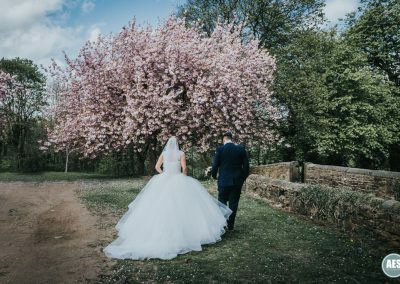 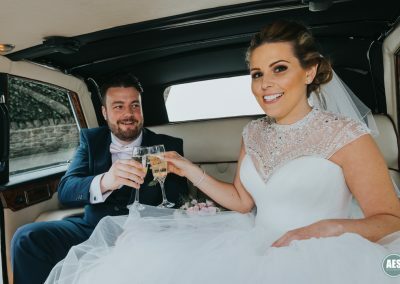 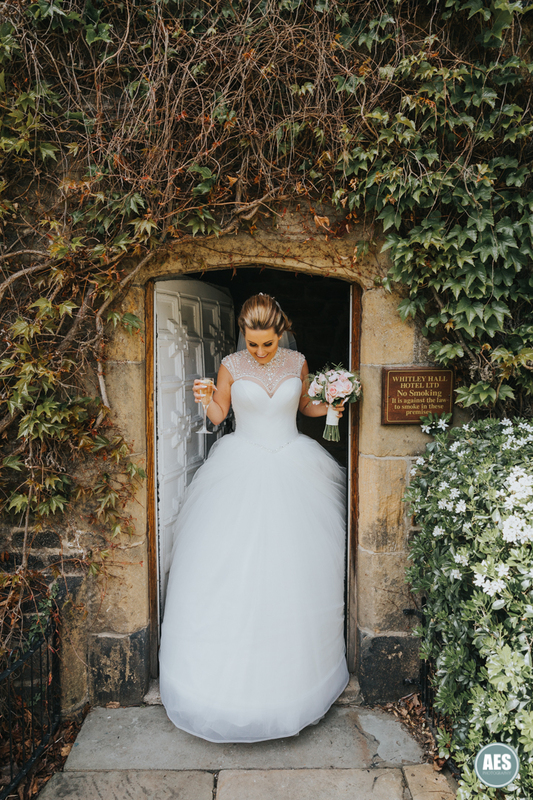 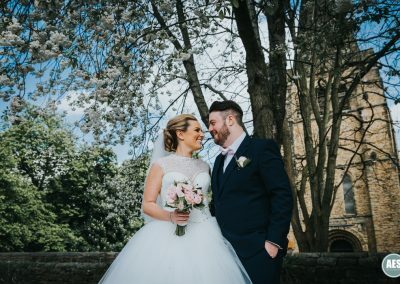 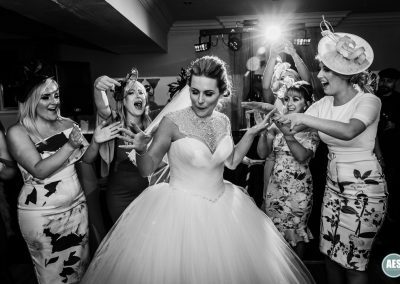 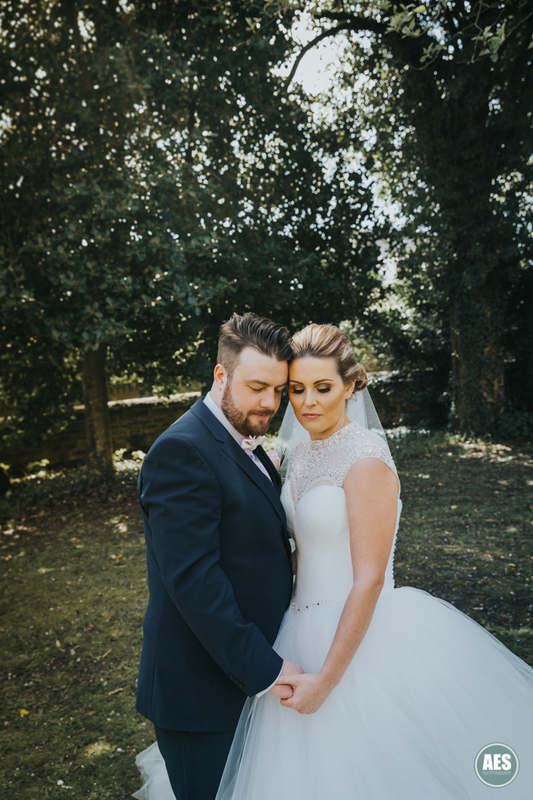 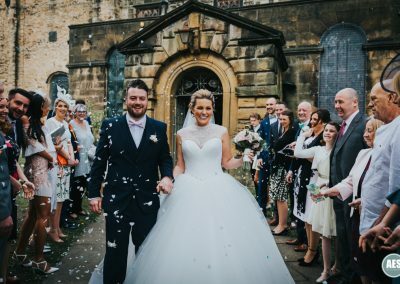 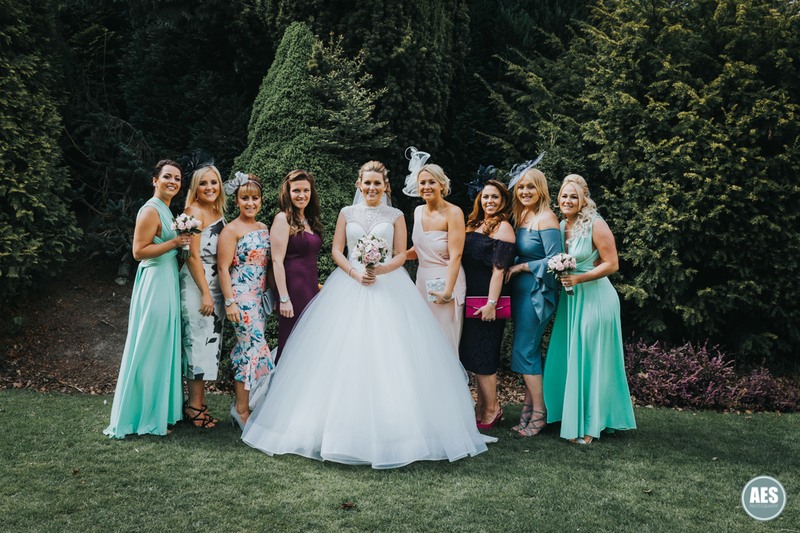 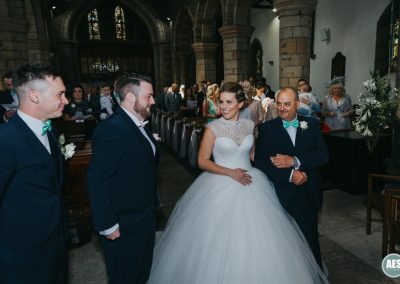 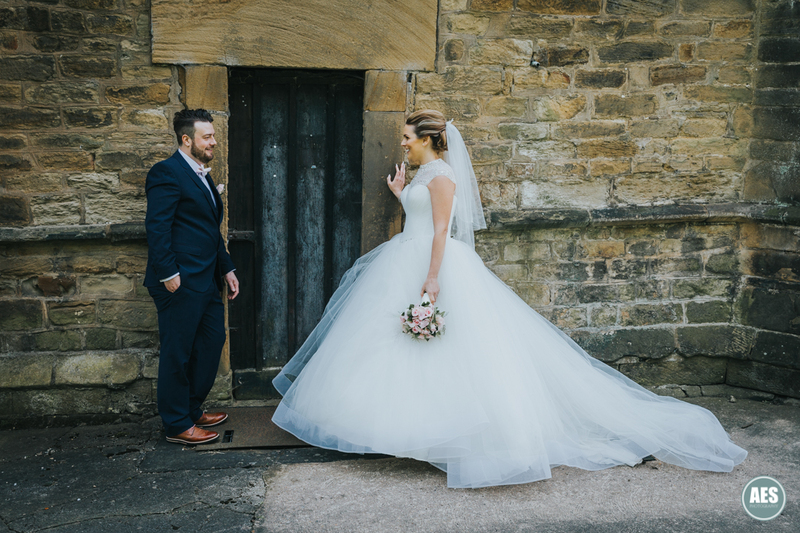 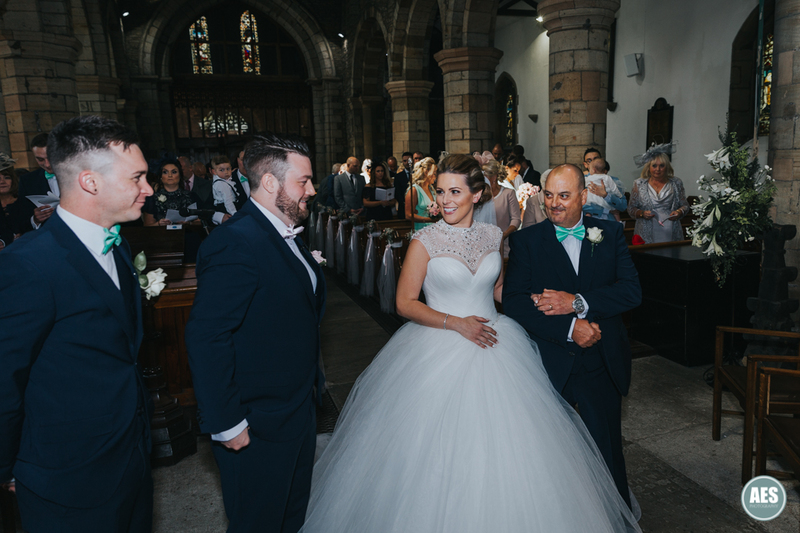 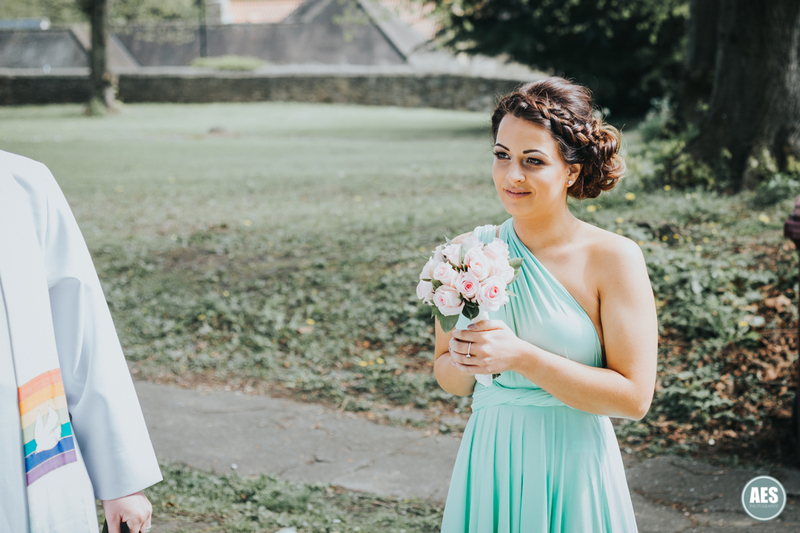 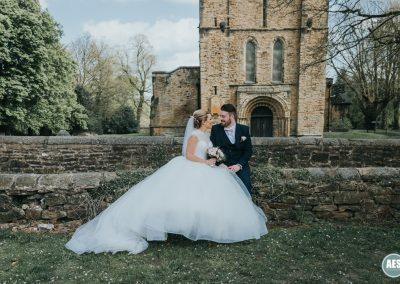 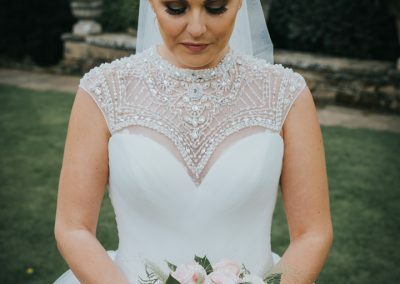 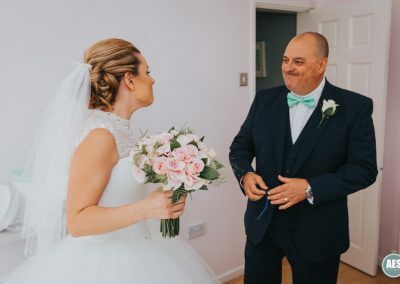 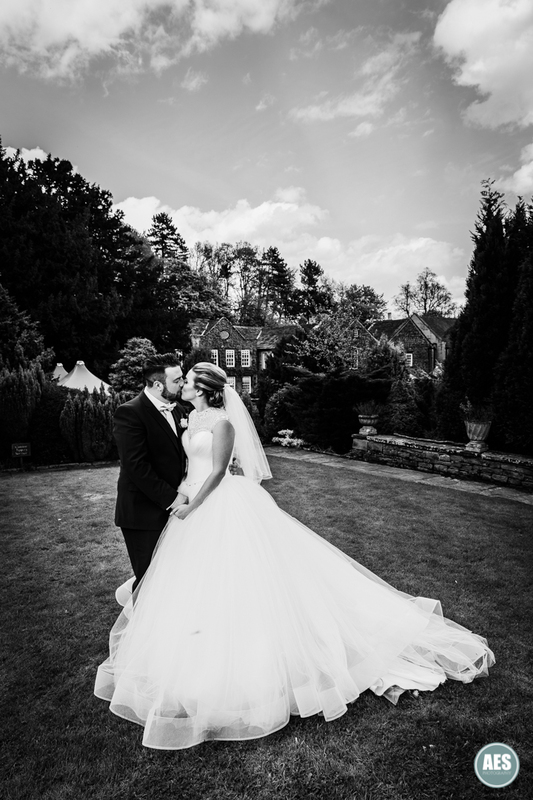 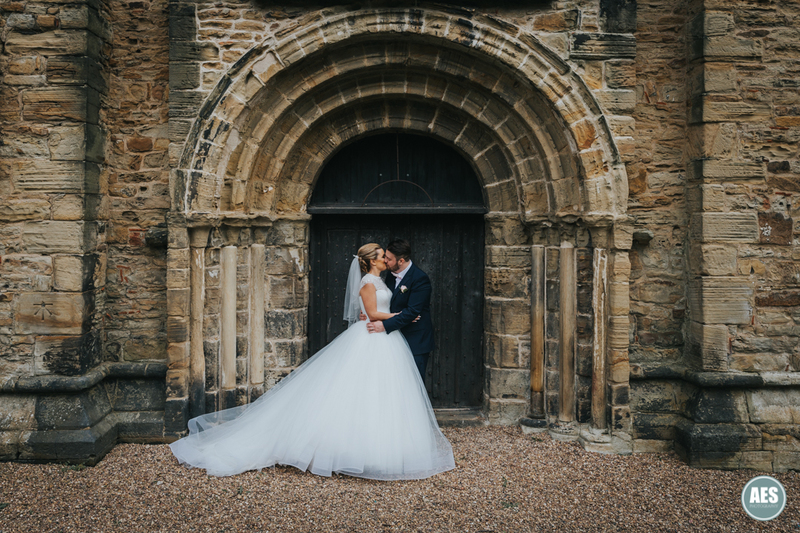 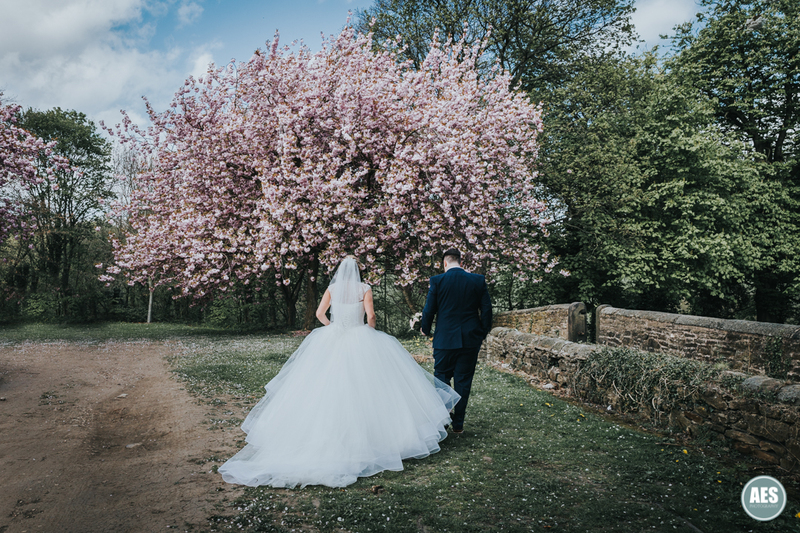 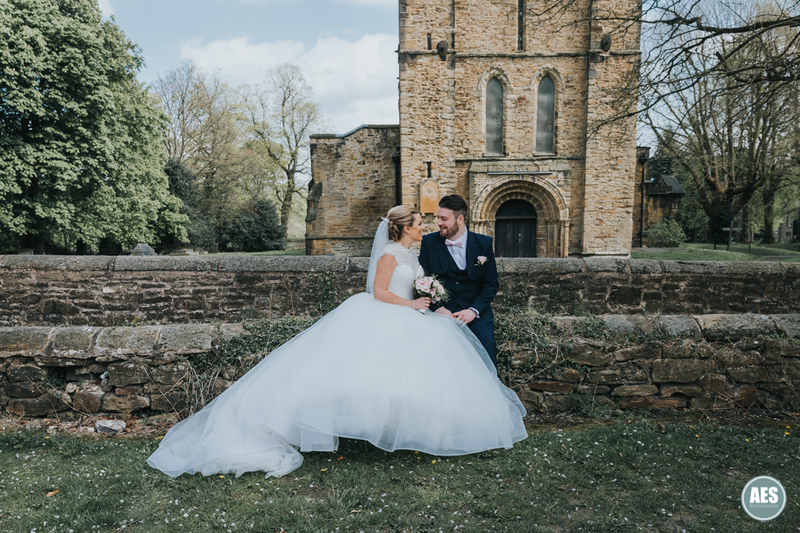 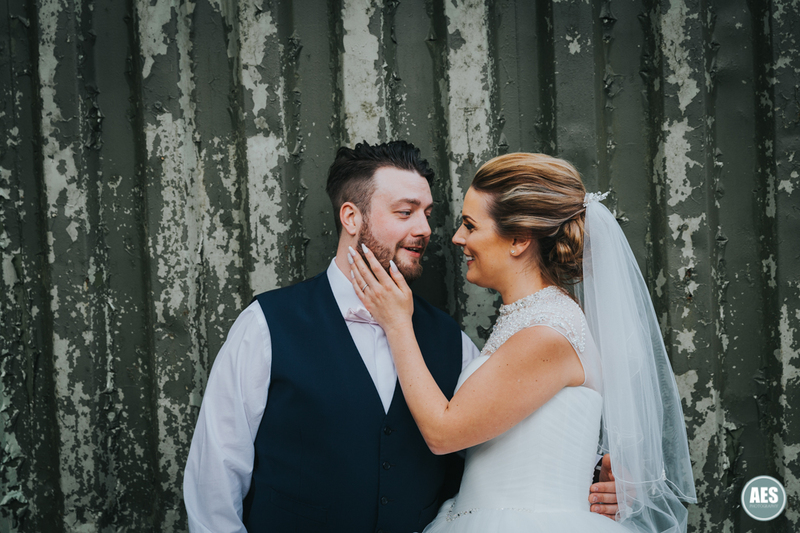 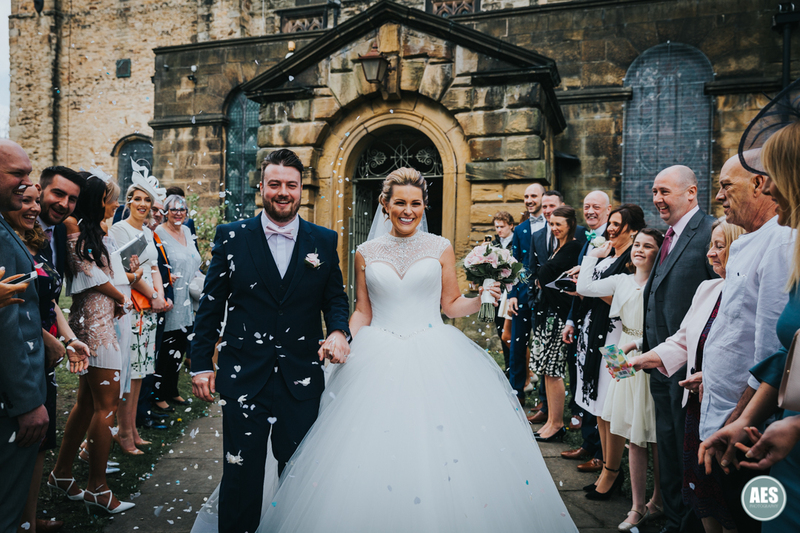 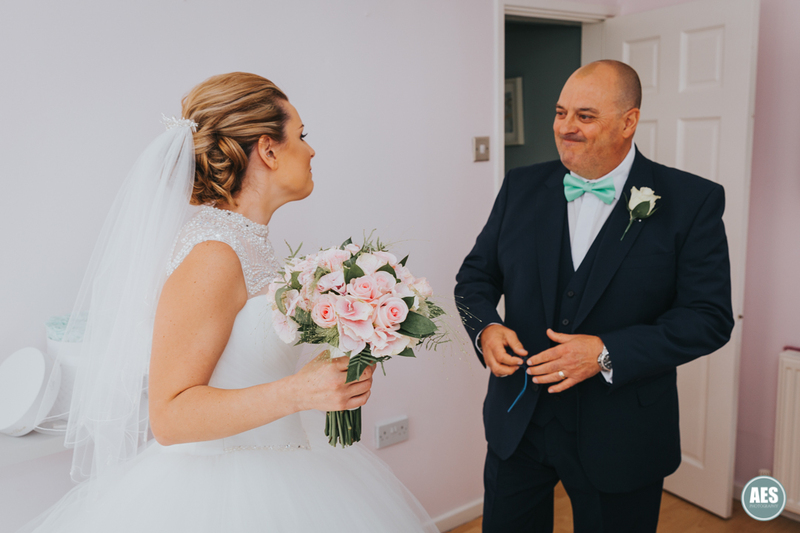 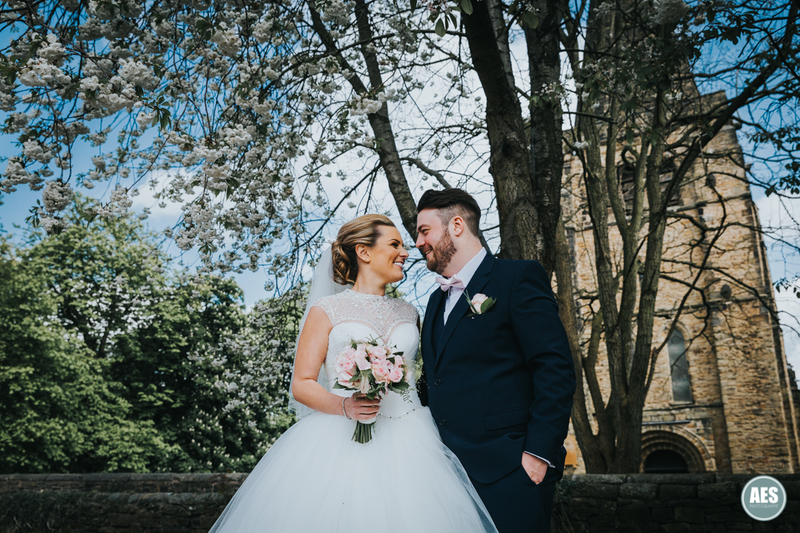 Chelsea looked absolutely stunning in her beautiful dress from le’adornments bridal in worksop. 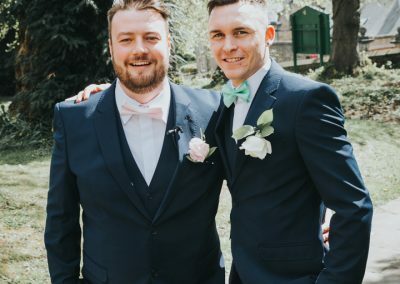 I’m not sure where Steve’s pants were from and I didn’t ask him either!! 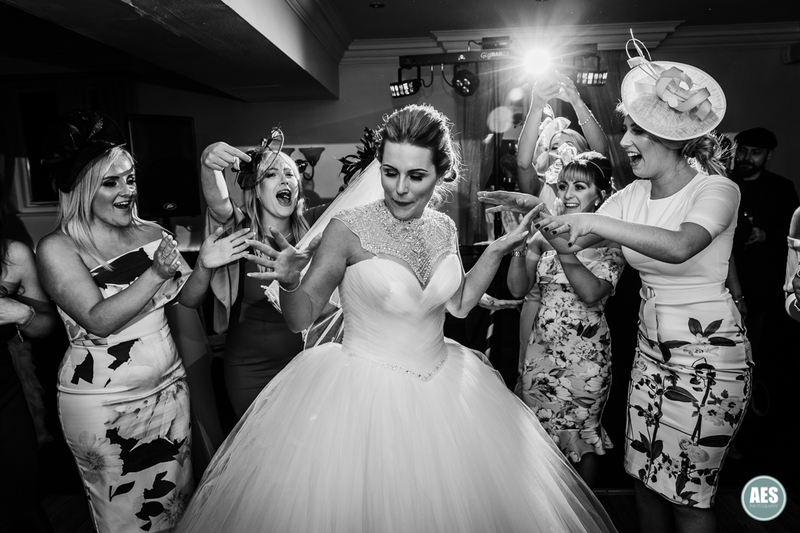 The girls were in good spirits and amazingly calm, possibly thanks to the supply of champagne from Steve. 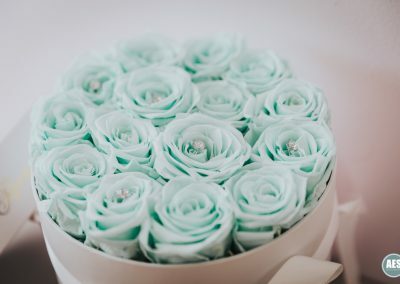 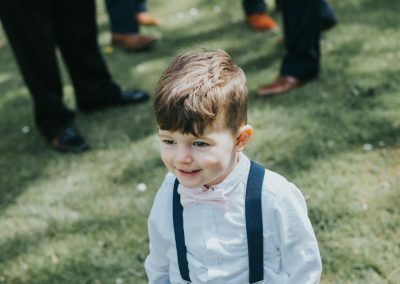 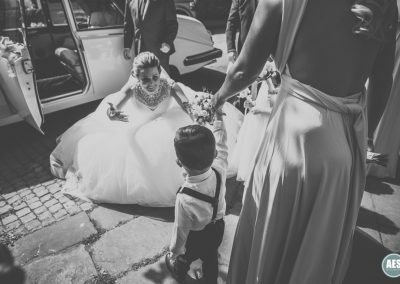 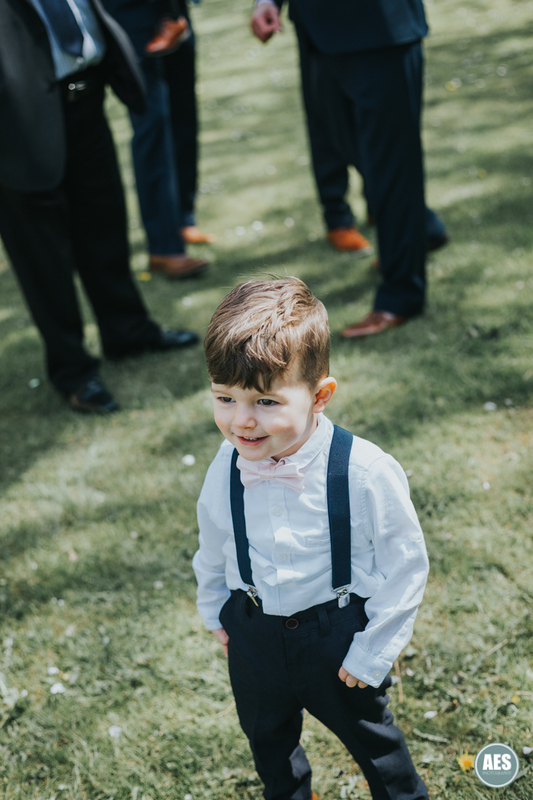 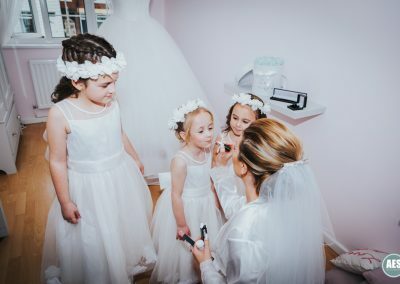 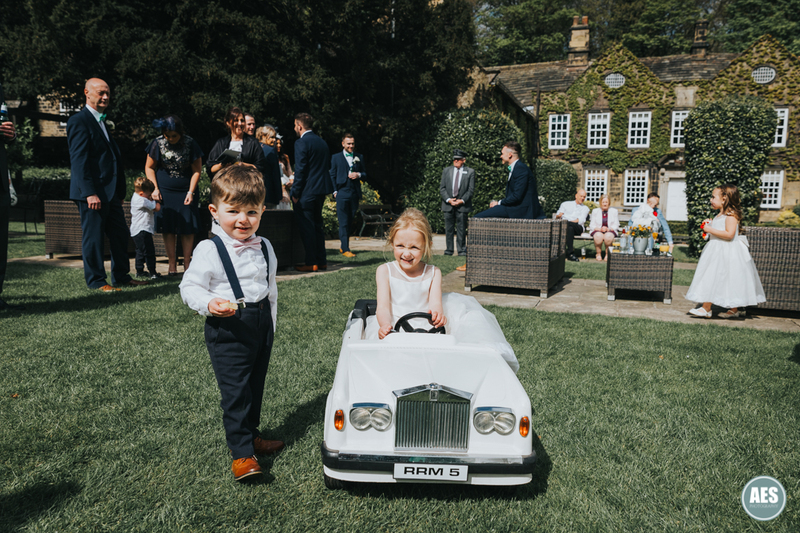 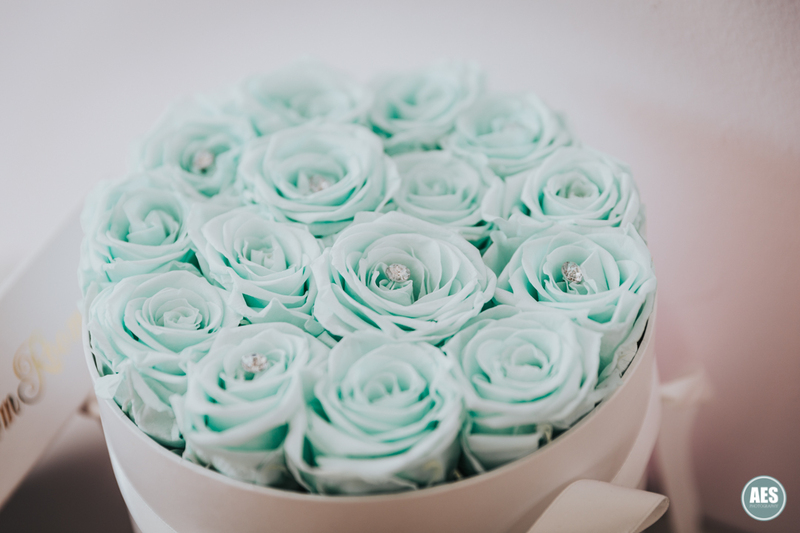 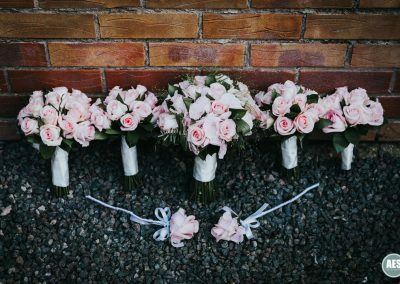 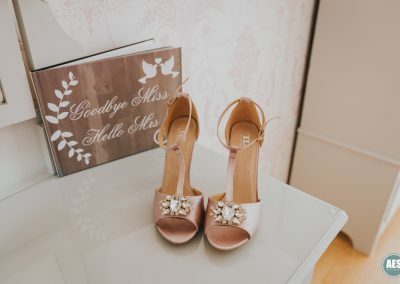 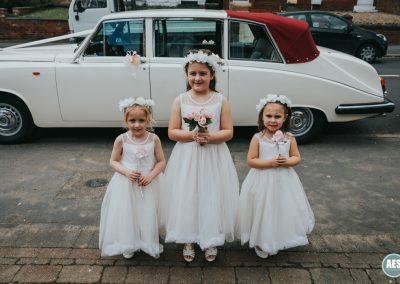 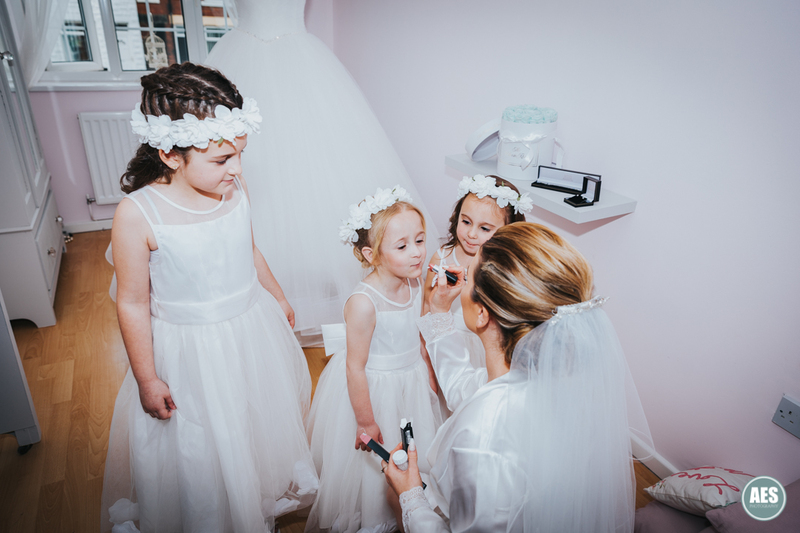 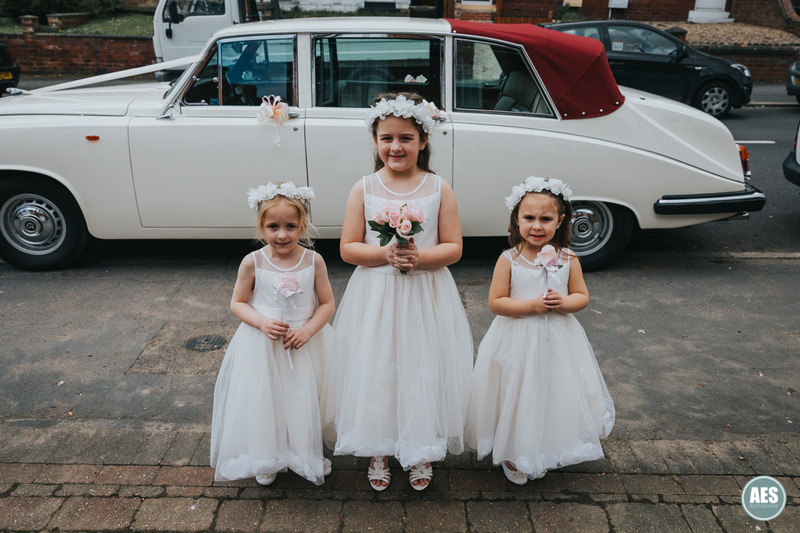 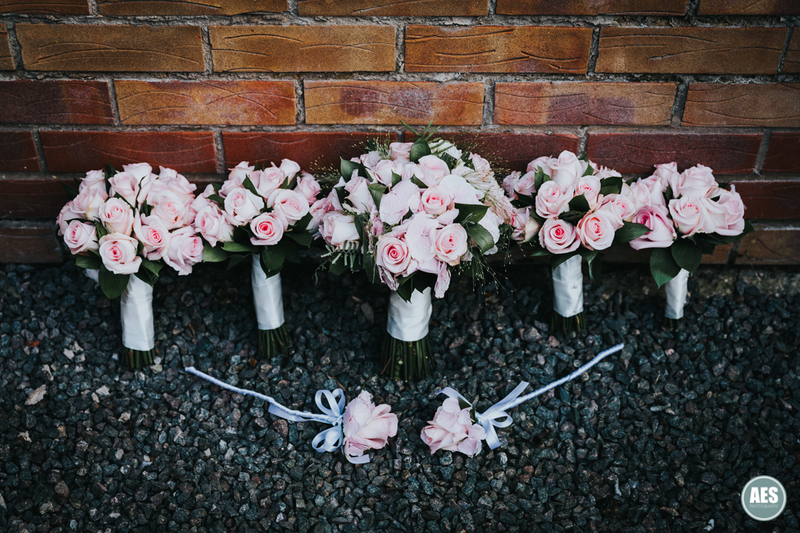 In fact, it was very calm and I was made very welcome and felt instantly at ease with the bridal party, and the three little adorable flower girls. 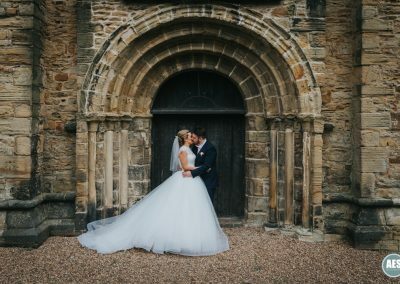 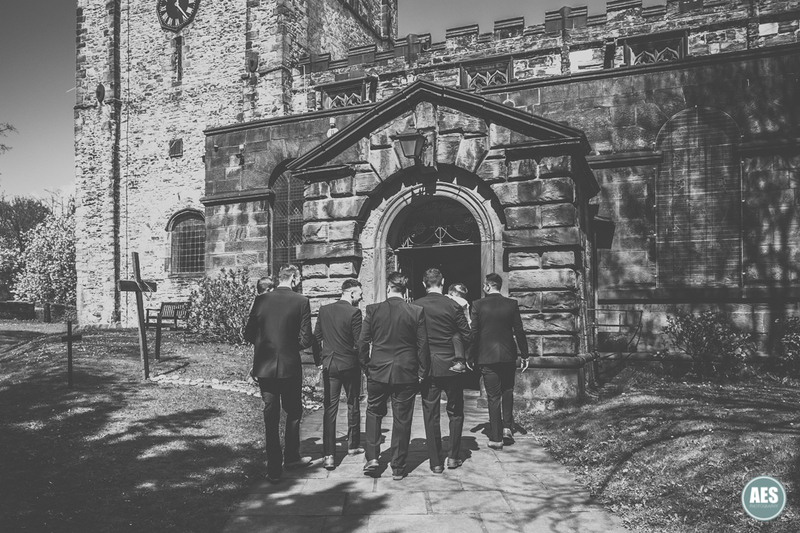 The ceremony took place at eckkngton Church, a lovely church with perfect grounds for photos. 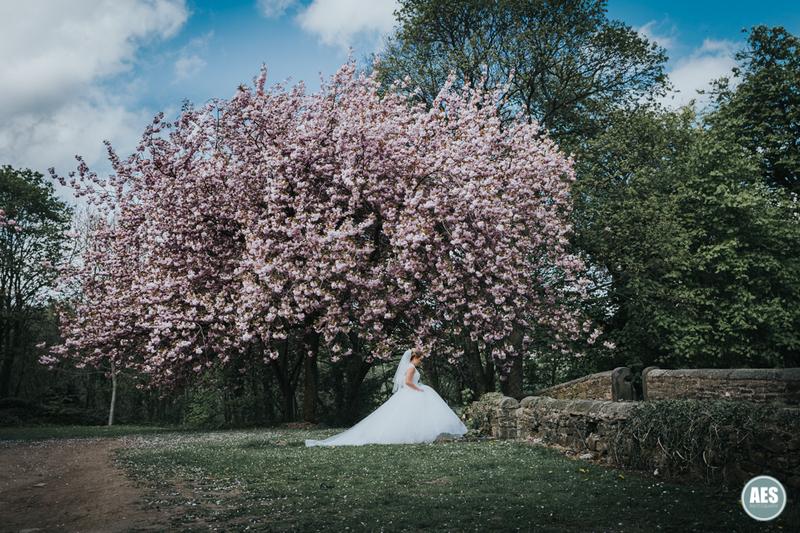 What made it more special was all the beautiful pink cherry blossom trees. 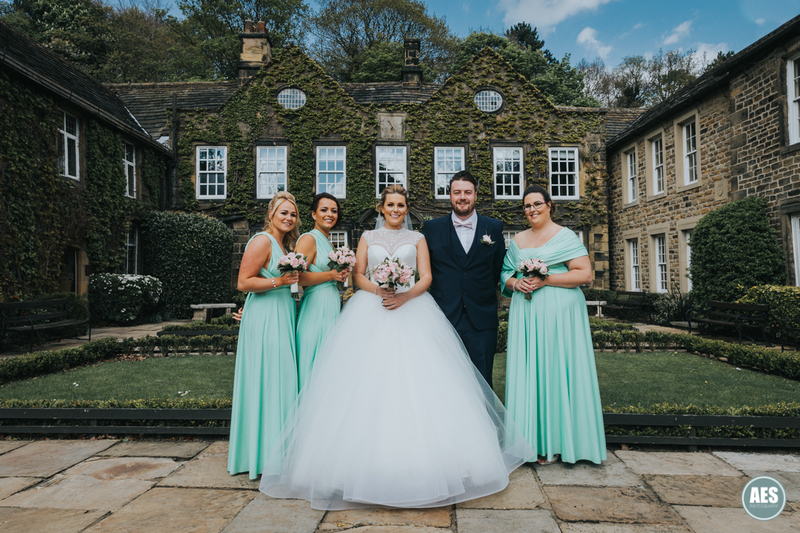 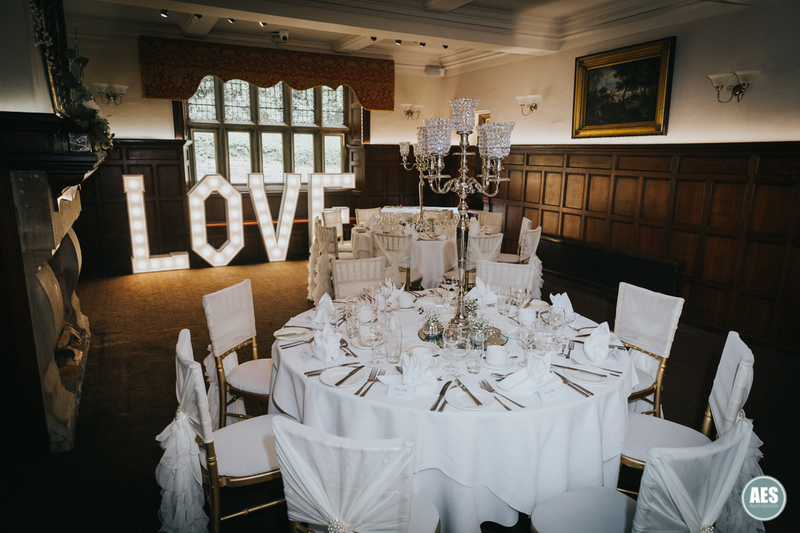 After the ceremony we headed to Whitely Hall hotel, one of my favourite venues, especially when the weather is nice which it was thankfully. 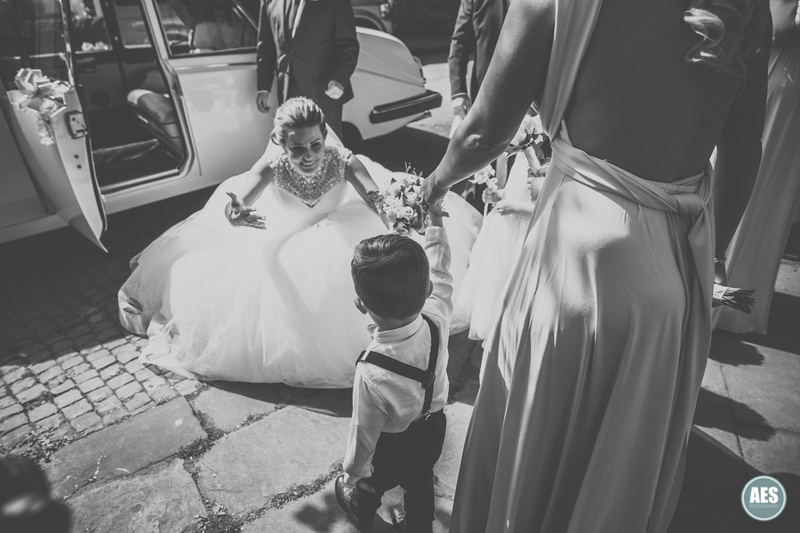 The Bride and Groom’s little boy Sergio was a little treasure all day, smiling and enjoying every minute. 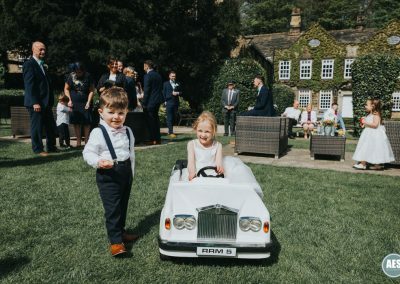 He was particularly happy when he got the keys to his new Rolls Royce and had all the girls flocking in droves. It was a brilliant day that had everything, emotion, fun, laughter, love and happy tears. 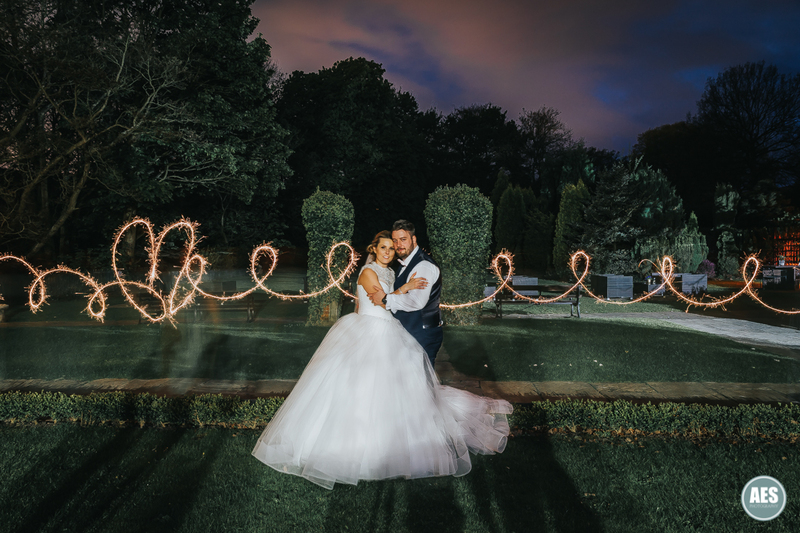 The couple were just brilliant to work with and never complained at being dragged around the grounds. 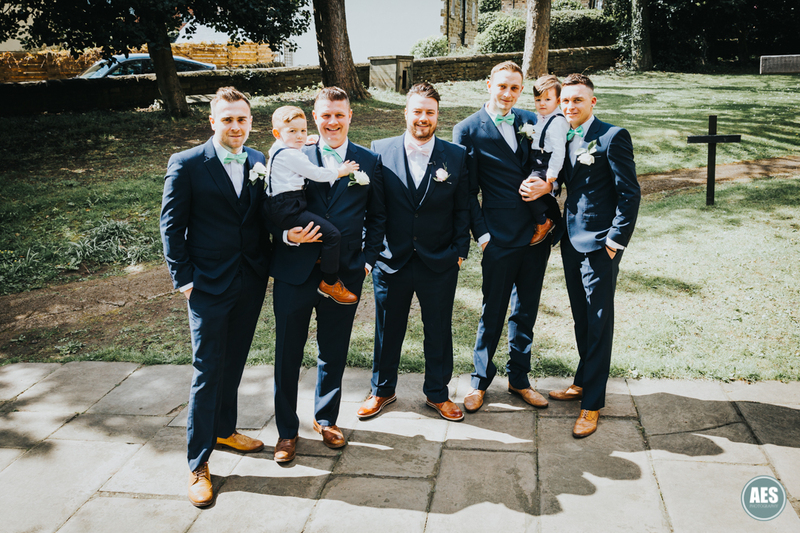 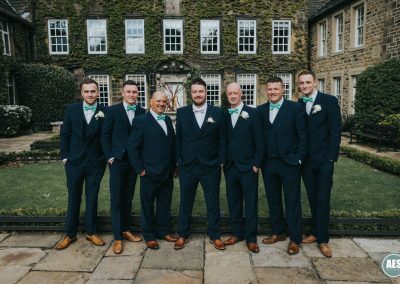 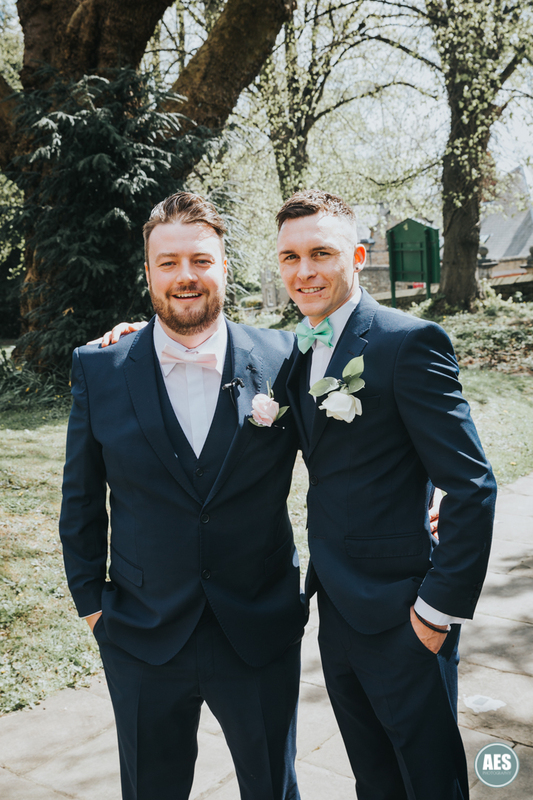 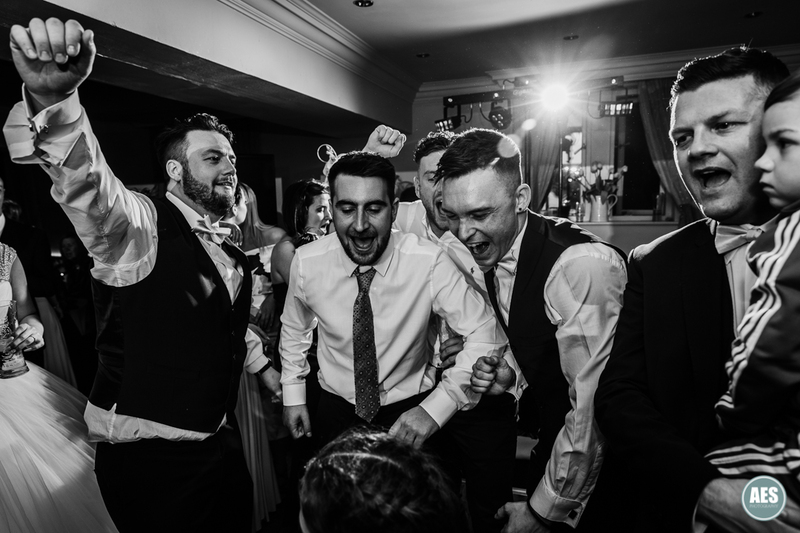 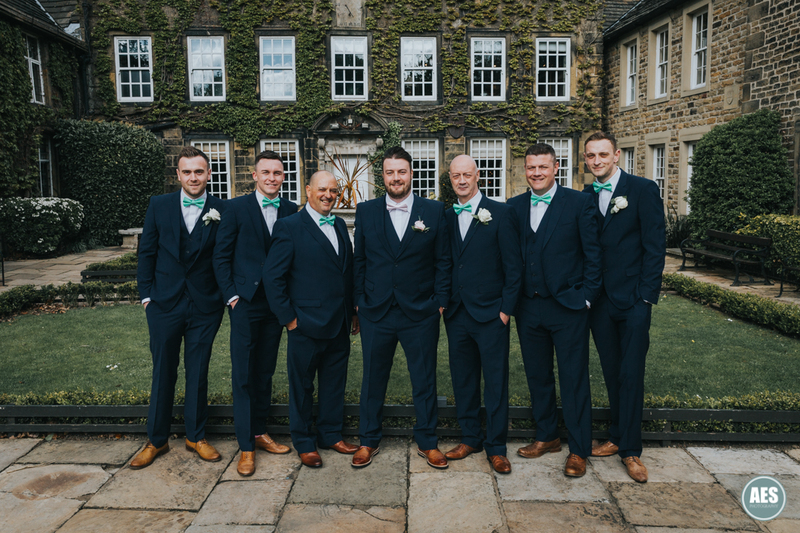 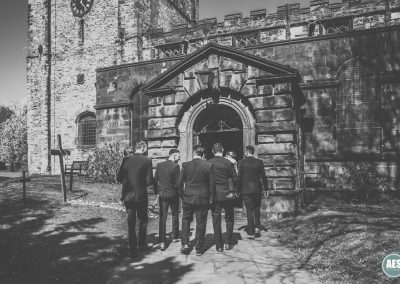 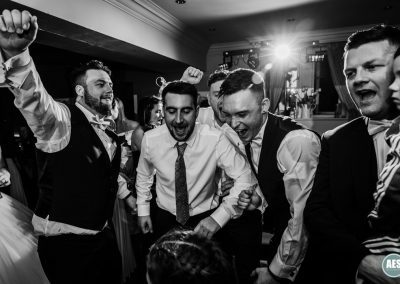 I have struggled to select a small portion of photos from this cracking day as there were so many amazing memories, with several contributions from the best man Joe. 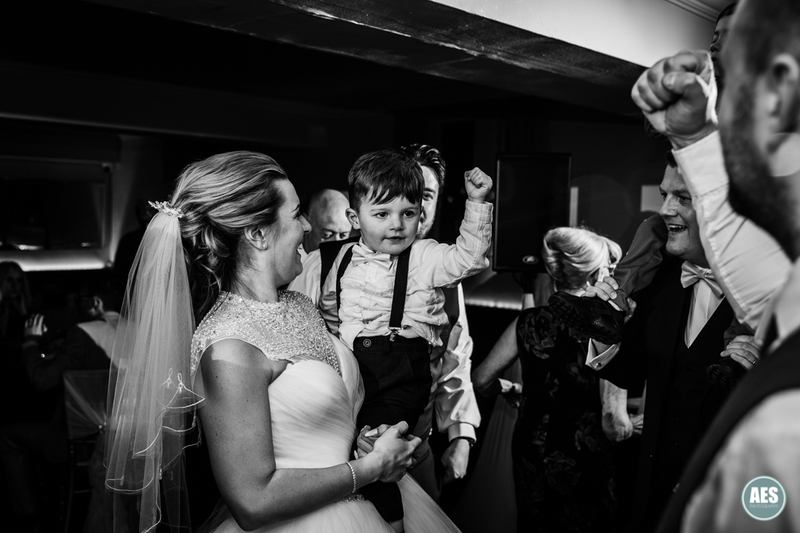 Although my favourite highlight was definitely the girls vs boys dance offs. 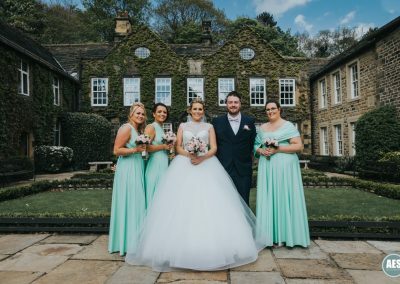 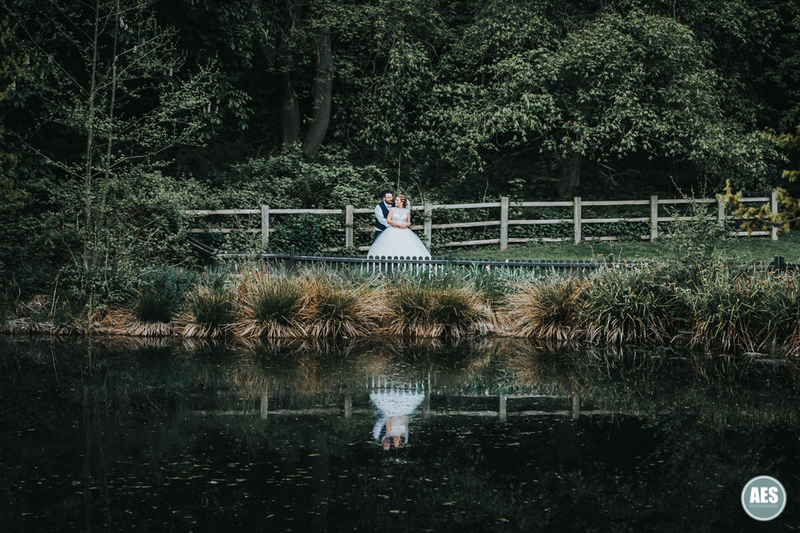 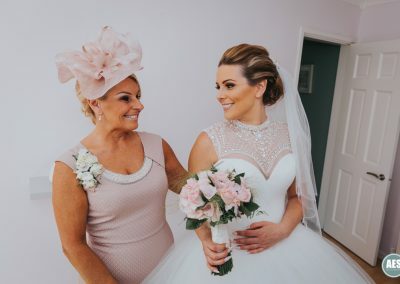 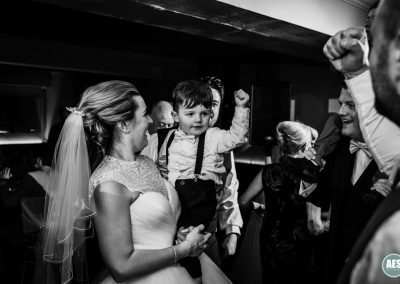 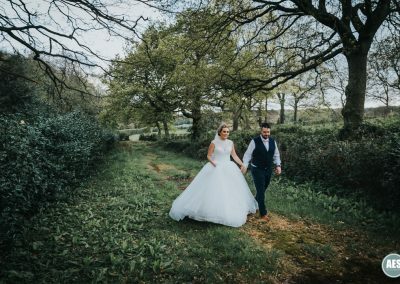 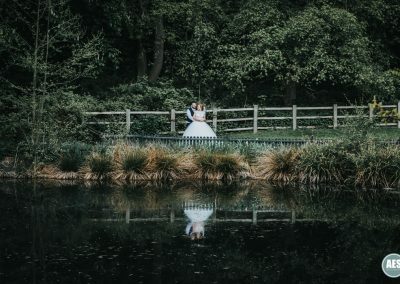 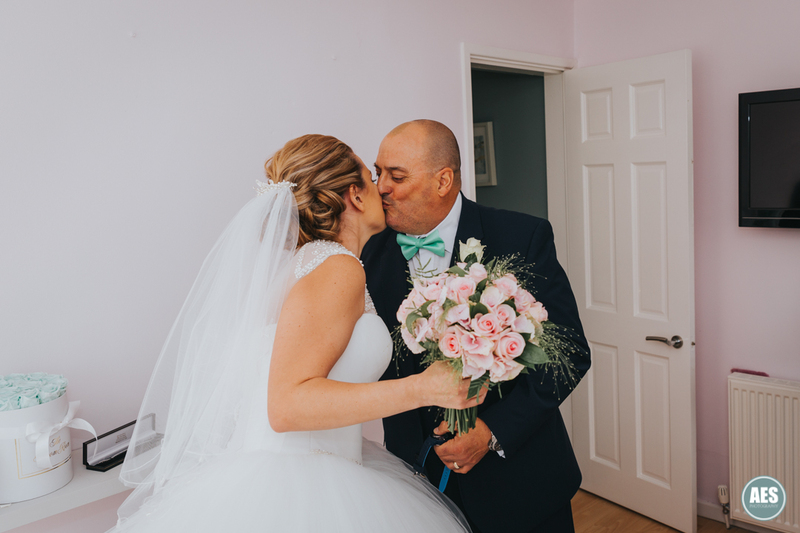 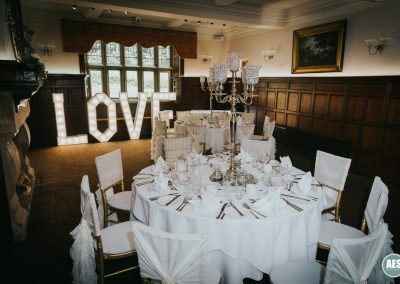 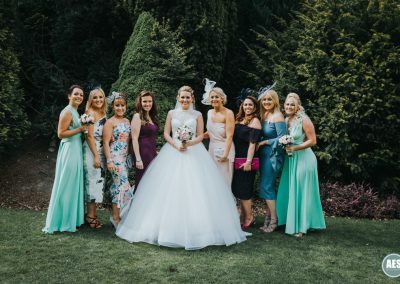 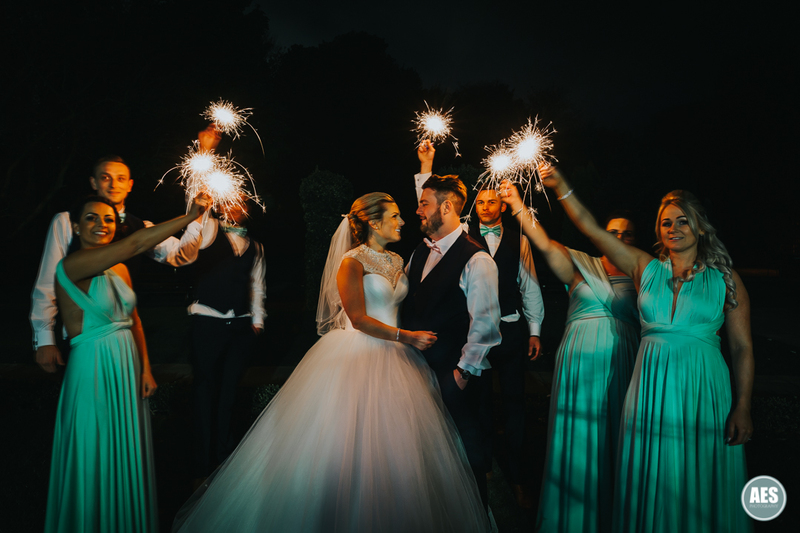 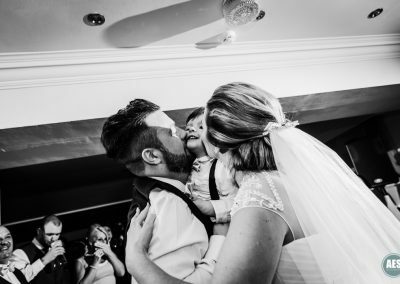 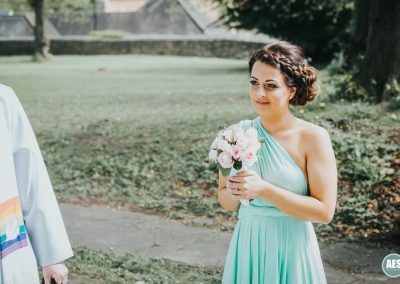 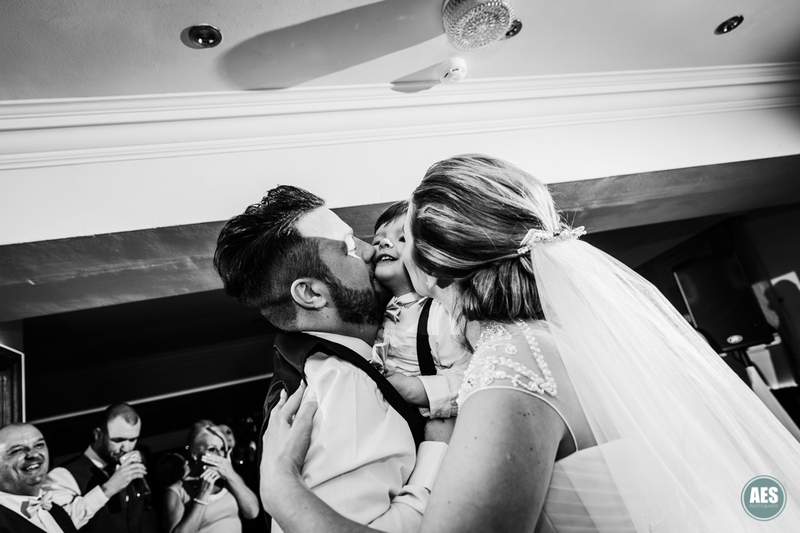 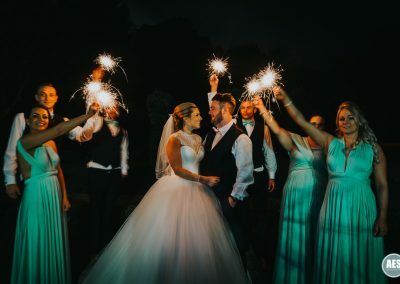 The full wedding gallery is available at https://aesphotography.pixieset.com/chelseyandorin/ but as usual you will need the password from the Bride and Groom.